We offer unique guided and self guided cycling holidays and tours in western Andalucia, Spain. All our tours and cycling holidays can also be done with e-bikes. We are very flexible - tell us the dates you wish to travel and we will arrange a trip to suit. Based in Ronda, available guided or self guided, flexible in difficulty level. Plenty of wonderful routes to suit leisure riders or more experienced road cyclists. Cycle from the historic town of Ronda into the local countryside via some of the area’s most charming white villages. Routes available of different distance, difficulty and duration, from 3 days upwards. As well as the bikes, we uniquely provide a pre-loaded Garmin GPS, route maps, profile information and points of interest along the way. We arrange your accommodation throughout, using our favourite small country hotels and cortijos. Don’t worry about having to cycle with all your luggage – take just your daily needs and we will transport everything else. All you have to decide each day is when to set off, how many breaks or photo stops to take and what time you wish to get to your evening's accommodation - what could be more relaxing! Already in Ronda and looking for a day’s cycling out on the roads. 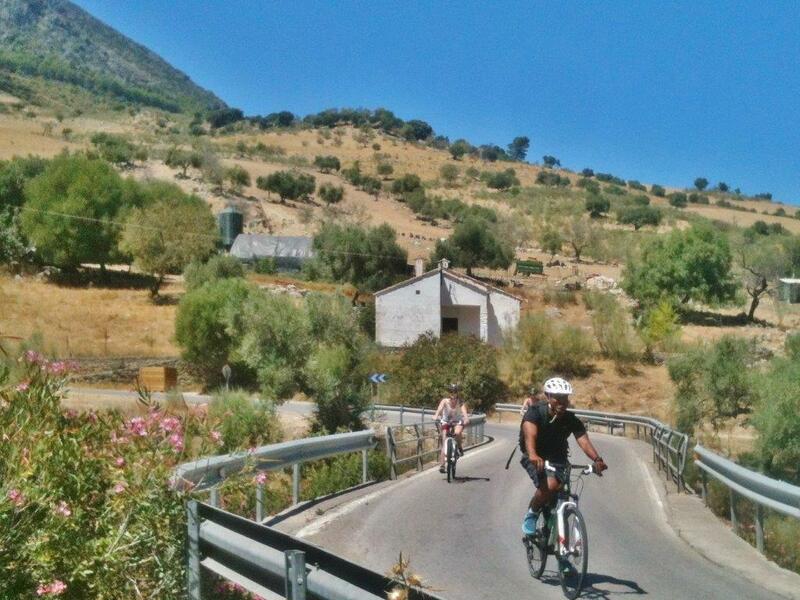 Check out our Cycling Day Trips for a great Andalucian cycling adventure.